What Is a Health Care Provider? A health care provider is a person or company that provides a health care service to you. In other words, your health care provider takes care of you. The term "health care provider" is sometimes incorrectly used to refer to a health insurance plan, but health insurance is different from health care. The health care provider you’re probably the most familiar with is your PCP or primary care physician. But, there are all different types of health care providers. Any type of health care service you might need is provided by some type of health care provider. The physical therapist that helps you to recover from your knee injury. The Home Health Care Company that provides your visiting nurse. The durable medical equipment company that provides your home oxygen or wheelchair. The laboratory that draws and processes your blood tests. The imaging facility that does your mammograms, X-rays, and MRI scans. The speech therapist that works with you to make sure you can swallow food safely after a stroke. The outpatient surgery clinic where you had your colonoscopy done. The specialty laboratory that does your DNA test. The urgent care center or walk-in clinic in your neighborhood shopping center. 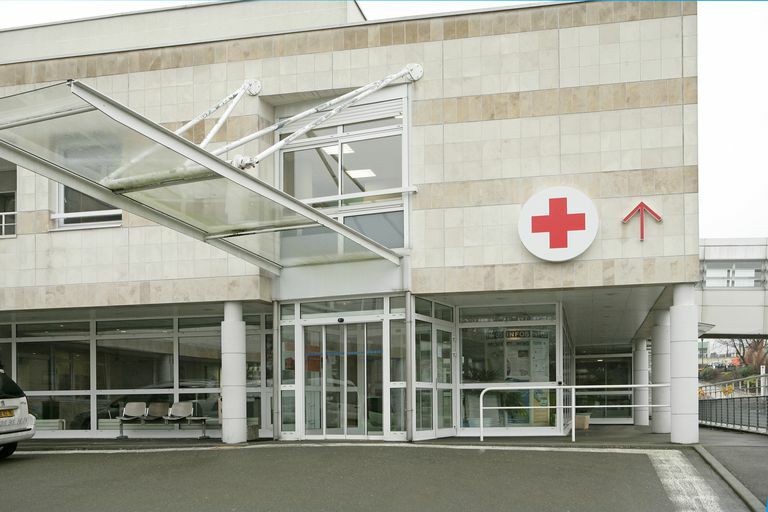 The hospital where you receive inpatient (or in some cases, outpatient) care. In addition to your personal preferences about which providers you’d rather have taking care of you, your choice of providers matters for financial and insurance reasons. Most health plans have provider networks. These networks are groups of providers that have agreed to provide services to the health plan’s members at a discounted rate and that have met the quality standards required by your insurer. Your health plan prefers that you use its in-network providers rather than using out-of-network providers. In fact, HMOs and EPOs won’t pay for services you get from a health care provider that’s out-of-network except in extenuating circumstances. PPOs, and to a lesser extent POS health plans, will usually pay for care provided by out-of-network providers. However, they incentivize you to get your care from their in-network providers by charging you a higher deductible, copayment and/or coinsurance when you use an out-of-network provider. If you like your doctor or other health care provider, but they’re not in-network with your health plan, you have options. During your next open enrollment, you can switch to a health plan that includes them in its network. You can also appeal to your health plan requesting that it cover care you get from this out-of-network provider as though it was in-network care. Your health plan might be willing to do this if you’re in the middle of a complex treatment regimen being administered or managed by this provider, or if your provider is the only local option for providing the treatment you need. Another reason your plan might allow this is if you can show the plan why your provider is a better choice for this service than an in-network provider. For example, do you have quality data showing this surgeon has a significantly lower rate of post-op complications than the in-network surgeon? Can you show that this surgeon is significantly more experienced in performing your rare and complicated procedure? If the in-network surgeon has only done the procedure you need 6 times, but your out-of-network surgeon has done it twice a week for a decade, you have a chance at convincing your insurer. If you can convince your health plan that using this out-of-network provider might save money in the long run, you may be able to win your appeal. Surprise balance bills happen when a patient is being treated at an in-network facility, but receives treatment or services from an out-of-network provider. For example, you might have knee surgery at a hospital in your health plan's network, and later find out that the durable medical equipment supplier that the hospital used to supply your brace and crutches isn't contracted with your insurance plan. So in addition to having to meet your health plan's in-network out-of-pocket maximum, you may also end up paying out-of-network charges for the knee brace and crutches, walker, or wheelchair that you end up with after the surgery. The more you know about the range of providers involved in medical care, the better prepared you can be, at least in non-emergency situations. Some states have passed laws to limit patients' exposure to balance billing in situations where some providers at a given facility aren't part of the insurance networks with which the facility contracts. And federal regulations took effect in 2018, applicable to health plans purchased in the health insurance exchanges, that provide a modicum of protection when patients are subject to surprise balance billing. Exchange plans are required to apply the out-of-network charges from ancillary providers (ie, providers who are supplemental to the primary provider who is performing the procedure) towards the patient's in-network cap on out-of-pocket costs, unless the insurer provided adequate notice to the patient to let them know that they would be facing out-of-network charges. But the patient is still responsible for paying the out-of-network charges, and the regulations don't require any sort of cap on those charges. So for example, consider a plan with a $5,000 in-network deductible and a $7,000 cap on in-network out-of-pocket costs. The patient has a minor surgery that costs $4,000 after the insurer's network-negotiated discount, but includes an extra $1,500 bill from an out-of-network anesthesiologist. The patient will have to pay the anesthesiologist's bill, but a total of $5,500 will be credited towards his out-of-pocket limit for the year, meaning he'll only need to spend another $1,500 before his insurance starts to pay all of his covered in-network bills in full. This provides some level of protection, but it doesn't go as far as consumer advocates have proposed in terms of protecting patients from surprise balance billing. Some states have tackled the problem on their own, but in most states, surprise balance bills are still common. So in general, the more questions you ask ahead of time, the better off you'll be. Inquire about the insurance network participation of any providers who might treat you—directly, or indirectly, as would be the case with durable medical equipment supplies, radiologists, and labs. Ask the hospital or clinic if there's an in-network provider option in each case, and state your desire to utilize in-network providers—keeping in mind that "provider" goes well beyond the doctor overseeing your care. Hoadley, Jack; Ahn, Sandy; Lucia, Kevin. Robert Wood Johnson Foundation & the Center on Health Insurance Reforms (Georgetown University Health Policy Institute). ​Balance Billing: How Are States Protecting Consumers from Unexpected Charges? June 2015. National Academy for State Health Policy, Surprise Billing Legislation Passed in 2016. Federal Register. Department of Health and Human Services. Patient Protection and Affordable Care Act; HHS Notice of Benefit and Payment Parameters for 2017. March 8, 2016.